Next Station Stop: The Embryo Farm? Eugene C. Tarne | June 9, 2016. For decades, proponents of destructive embryo research have given at least lip service recognition to the serious ethical concerns inherent to such research. One of the earliest attempts to square this circle of trying to conduct morally problematic research within ethical guidelines is the “14-day rule” for embryo research. The rule has allowed embryo research outside the womb for up to 14 days post-fertilization, after which time the embryo would be destroyed. Although the origins of the rule go back over 40 years, it has been much in the news lately as scientists have developed methods to considerably extend the life of embryos outside the womb. The rule was first proposed in the U.S. by the Ethics Advisory Board of the Department of Health, Education and Welfare (now the Department of Health and Human Services) in its 1979 report Support of Research Involving Human In Vitro Fertilization and Embryo Transfer. In England, the 14-day rule was endorsed by the 1984 Warnock Committee, while in the U.S. it was endorsed in 1994 by the U.S. National Institutes of Health’s Human Embryo Research Panel. Today, several countries have enshrined the 14-day rule into law, including Great Britain and Canada, while others, including the U.S., have enshrined it in guidelines governing the research. The HEW board conceded upfront that the embryo was a form of human life deserving of respect, but nonetheless gave scientists wiggle room to conduct destructive research on these small human beings . They did so by endorsing a 14-day rule for embryo research based on reasoning advanced by moral theologian Charles Curran, who served as an advisor to the panel. Curran advised that the embryo was not an individual human entity before implantation (typically at 7 days) or even later in the lab dish because, until around 14 days after fertilization, twinning or recombination could still take place. The HEW board agreed and therefore recommended that scientists should be allowed to conduct research on embryos up to 14 days old, but not after. Great Britain’s 1984 Warnock Committee also recommended a 14-day limit for embryo research for similar reasons, while also pointing out that the primitive streak – the precursor of the brain and spinal cord – also begins to form at this point. Also like the HEW report, the Warnock Committee acknowledged that the human embryo deserved respect, and that moral problems were raised by research in which they are destroyed. But in reality the 14-day limit, while offering a veneer of morality to embryo-destructive research, was really no limit at all. That’s because at the time, and until very recently, scientists did not have the technical wherewithal to routinely keep embryos outside the womb alive for more than seven days at most — certainly a key factor as to why researchers could so readily consent to this supposed ethically-driven limitation on their activities. Why not accept such a 14-day limit and give the appearance of adhering to strict ethical guidelines when the embryo will expire long before that limit is reached? All this has changed with the recent announcement (here and here) that researchers had developed a way to keep an embryo alive for 14 days and more – beyond the stage when they would naturally implant in the womb, beyond the point of twinning and recombination, beyond the appearance of the primitive streak. So one might presume that the 14-day rule would be all the more relevant and urgent, if even just to keep a veneer of ethicality adhering to the research. But the exact opposite has happened. If not calling for an immediate abandonment of the 14-day rule, authorities are making ever more pronounced calls to revisit and revise it in order to accommodate the new development. But some pointed out the irony in these calls to revisit the 14-day rule now that it has real teeth. Amid these calls to revisit and revise the 14-day rule, the question arises: How does the ability to prolong embryonic life ex utero now change the scientific facts cited for adopting the rule? Does it change the reality of when twinning and recombination are no longer possible – a scientific marker used to justify the rule? Does it now take away the previous moral relevance that proponents of embryo research had invested in this phenomenon? If so, in what way and why? Does it change the reality of when the primitive steak appears – another scientific marker used to justify the rule? Does it also now take away the previous moral relevance that proponents of embryo research had invested in it? Again, if so, in what way and why? “Despite great efforts, embryo stem cells never become just one cell type or coherent tissue, but differentiate into disorganized mixtures of cell types. More importantly, they are genetically unstable. … To overcome this, if it is indeed possible, will take years of research. Some say it’s worth a try and scientists and companies with patents on this technology are willing to make the attempt. “Now if they (i.e., embryonic stem cells) were derived from clonal embryos, they would be nearly perfect, again in a purely scientific sense. But interestingly, none of the advocates of permitting embryo cloning has raised the specter of growing clonal embryos for eight to nine weeks so that genetically matched embryo germ cells could be harvested. These embryos would, of course, no longer be clumps of cells in a Petri dish, and some supporters of embryo cloning here might object. “Right now, it would be a hot potato, but once we have clonal embryos for a while and have gotten used to the idea, who would turn a deaf ear to calls by patients and their loved ones for these superior therapeutics? 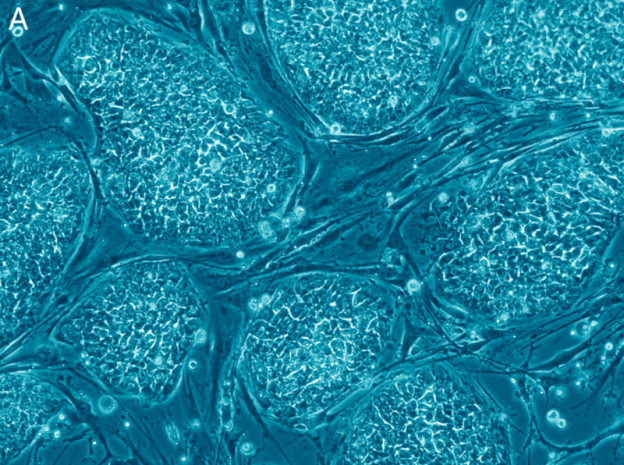 “And once stem cell harvesting from two-month clonal embryos is in place, who could resist the pleas to extend the time frame so that liver and bone marrow could be obtained from six-month clonal fetuses to clear sufferers of life-threatening blood disorders, such as Beta Thalassemia, or so that brain lining cells could be harvested from near term fetuses to treat Parkinson’s sufferers? Dr. Newman intended this scenario as a warning. But those now advocating revisiting, with the goal of revising, the 14-day rule are raising a similar scenario, but this time as an opportunity. For many proponents of revisiting and revising the 14-day rule, it seems the same can be said of any promises to adhere to ethical boundaries on destructive embryo research – once the technology permits, such promises are made to be broken. Twinning is the division of the zygote in two; recombination refers to the fusion of two zygotes into one. Prior to this recent development, the longest an embryo was kept alive ex utero was nine days, but seven days was the norm. Hearing of the Health Subcommittee of the Senate Health, Education, Labor and Pensions Committee, 3/5/2002.